"The training Matt provided was very well received. It was pitched at just the right level with sufficient detail and practical advice." Matt qualified as a solicitor in 2013. He has acted for a range of clients in contentious and non-contentious employment matters with particular experience in the Retail, Leisure and Hospitality sectors. 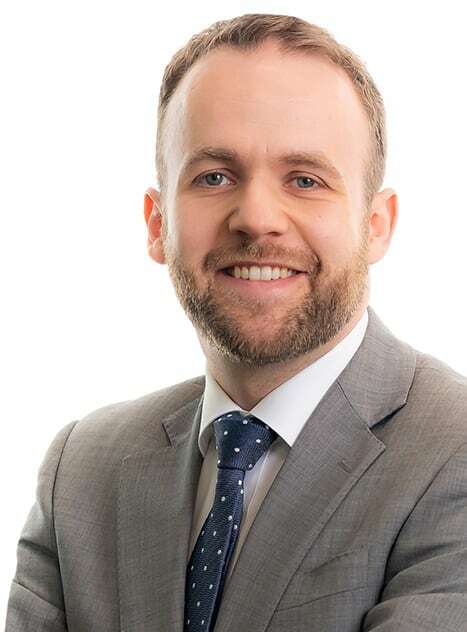 Matt provides advice on topics including disciplinary and grievance investigations, long term employee absence, TUPE, redundancy procedures and settlement agreements. He works with clients to draft effective employment contracts and procedures that are suited to the specific needs of the employer organisation. He also regularly provides bespoke training to managers and HR departments on a wide range of employment related topics. Advising a construction company with £40 million turnover through successful defence of a discrimination claim by a former director. Drafting a full range of new employment contracts and policies for company listed on Oslo Stock Exchange establishing a UK business. Successfully representing a client in leading a case on the meaning of “place of work” in the context of redundancy scenarios. Matt has experience in acting for a number of clients in the retail sector. He provides daily advice to a nationwide retailer with 30,000 employees. Matt worked on secondment in the sector which has given him a particular insight into the industry. Matt provides regular advice and training to a Consortium of Local Medical Committees which covers 330 GP Practices across the North West. Advised a number of care homes on employee payment obligations and on employment related requirements in corporate transactions and restructuring exercises.